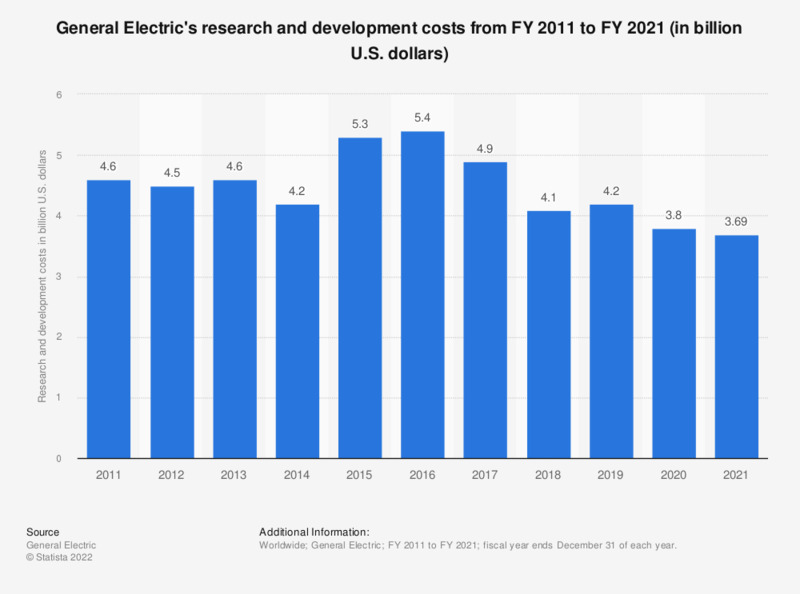 This statistic represents General Electric's research and development costs from the fiscal year of 2010 to the fiscal year of 2018. In the fiscal year of 2018, the company incurred around 4.9 billion U.S. dollars in research and development costs. The figures for 2010 through 2015 are taken from previous editions.